Pennard Cliffs are common land which means that commoners (local farmers in the main) have the right to graze their livestock here. 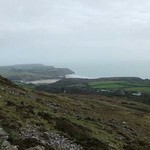 The cliff faces are of particular importance for wildlife such as rare alpine plants, including yellow whitlow grass (the county flower of Swansea) and nesting birds including ravens and chough. Pennard Burrows are situated behind the cliffs upon which lies Pennard Golf Course. Historic features on the cliffs include the remains of High Pennard Camp which was an Iron Age Coastal Fort-one of many along the Gower coast. The only visible remains are the low mounds and ditches in the ground which once formed the basis of the defences of the fort. 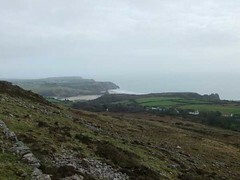 Designations for this area are : Common land, Site of Special Scientific Interest (SSSI), Site falls within Gower Area of Outstanding Natural Beauty (AONB) and Heritage Coast.